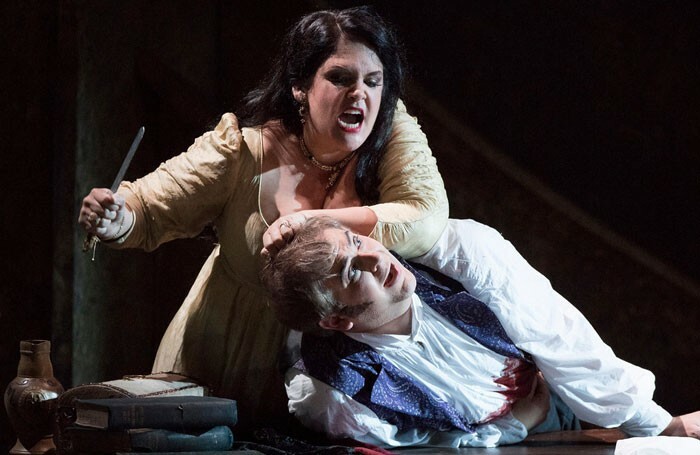 Evil can take many forms, and in opera, there are few characters that embody evil more unambiguously than the police chief Scarpia in Puccini’s Tosca. 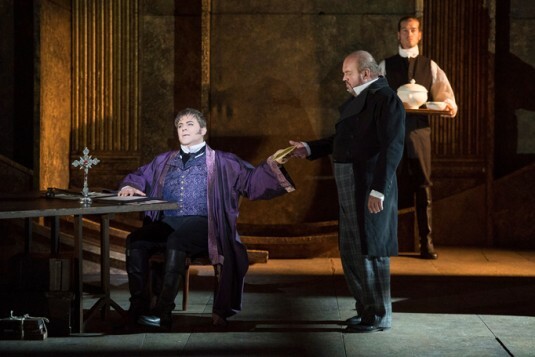 In English National Opera’s version (directed by Catherine Malfitano in the original 2010 production and Donna Stirrup for this revival), Scarpia is not the typical heavyweight tough guy of advancing years, but is instead a younger, sharply dressed power broker, forever snapping his fingers at minions. 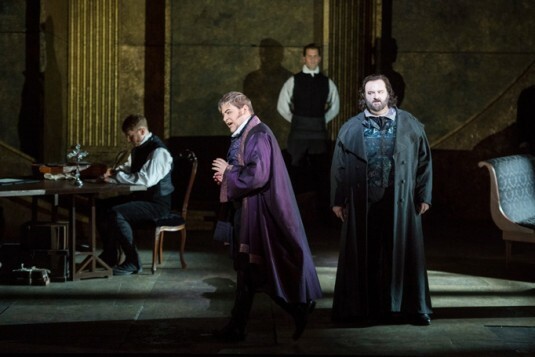 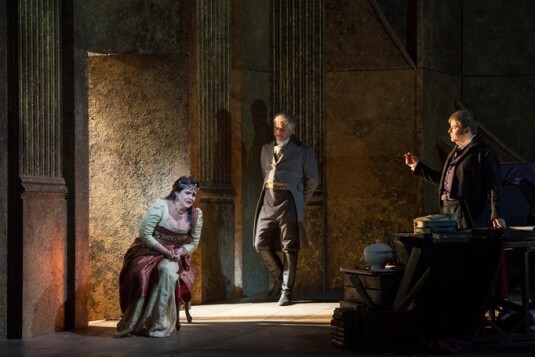 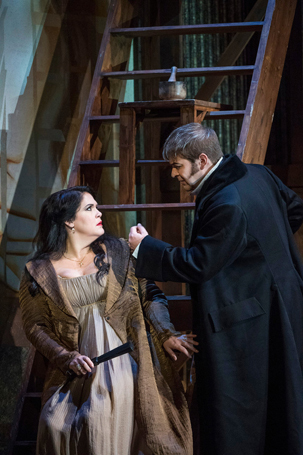 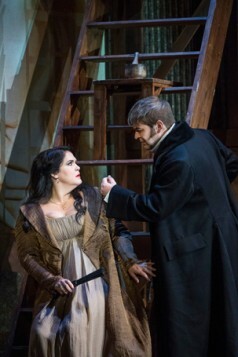 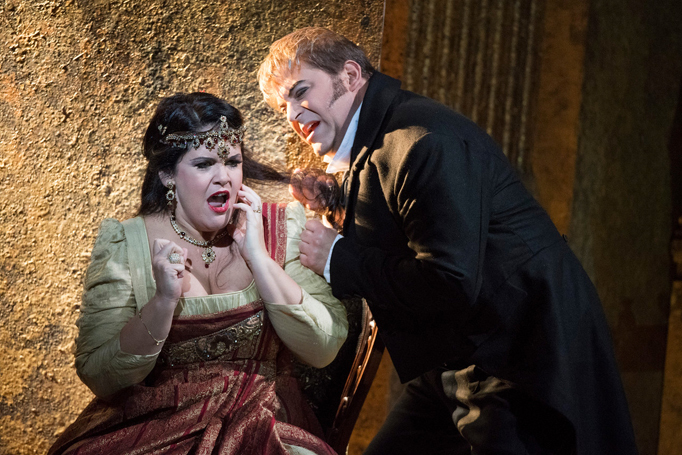 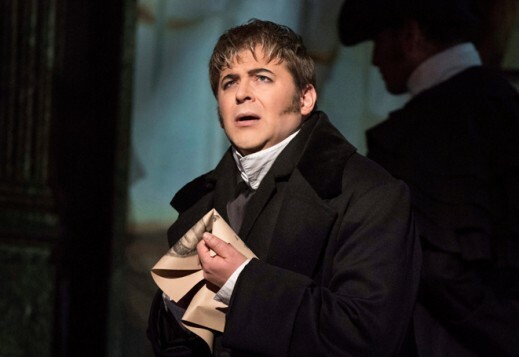 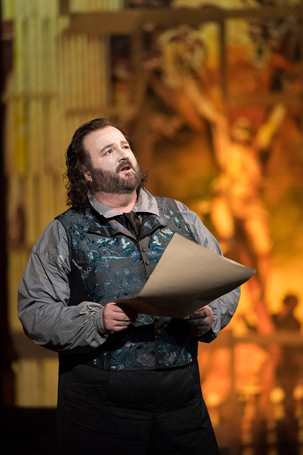 Craig Colclough’s excellent characterisation makes Scarpia’s menacing of the hapless Tosca more sinister than usual. 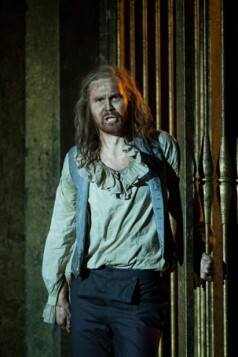 This is a man who would happily eat his meal while torture goes on in the next room. 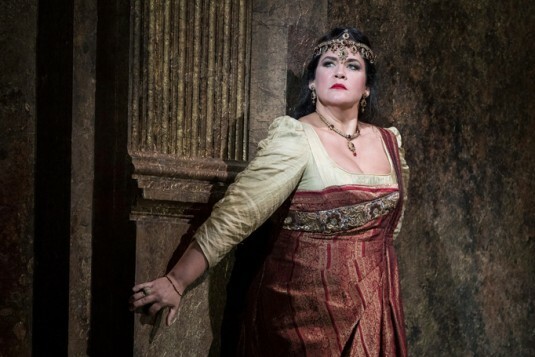 The danger for any Tosca is being overshadowed by Scarpia’s mesmerising malevolence. 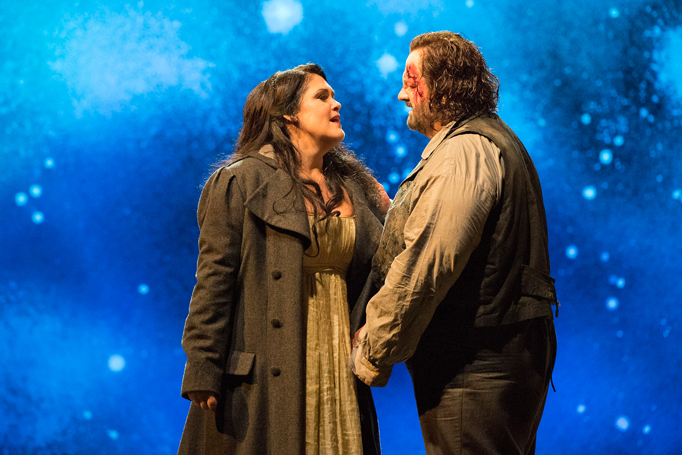 American Keri Alkema, making her London debut, rises to the challenge. 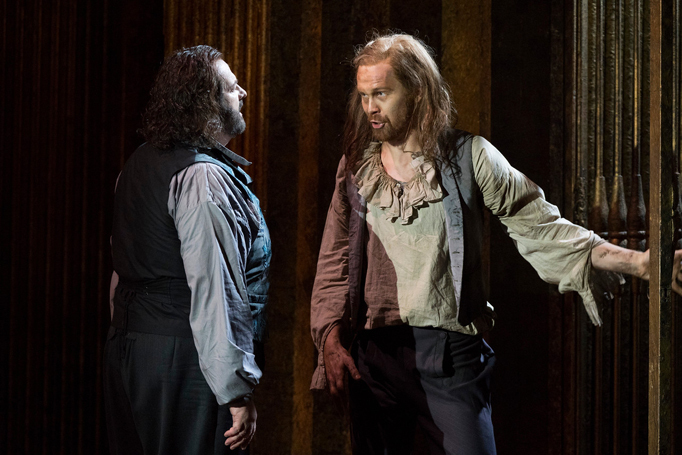 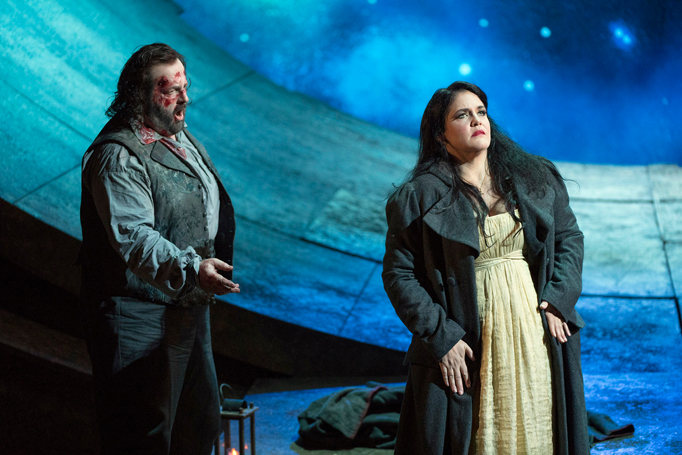 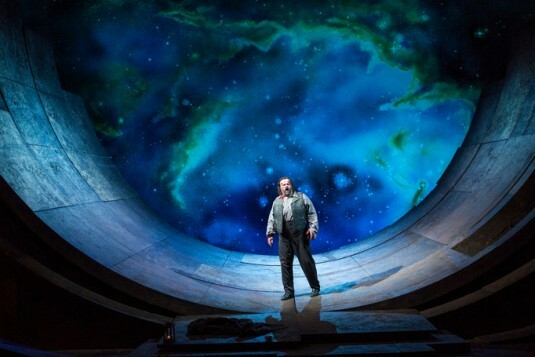 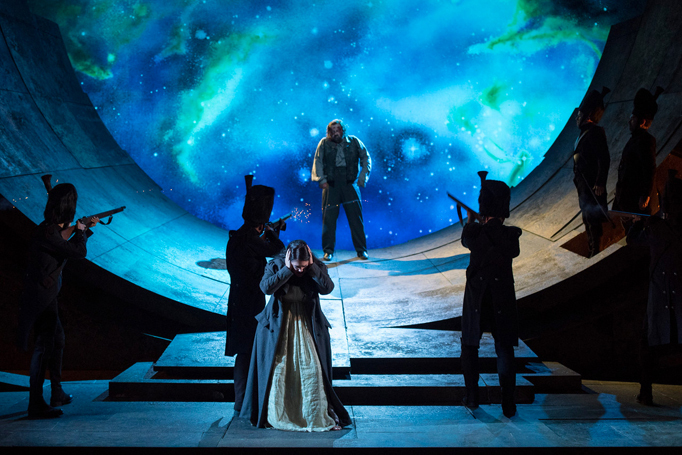 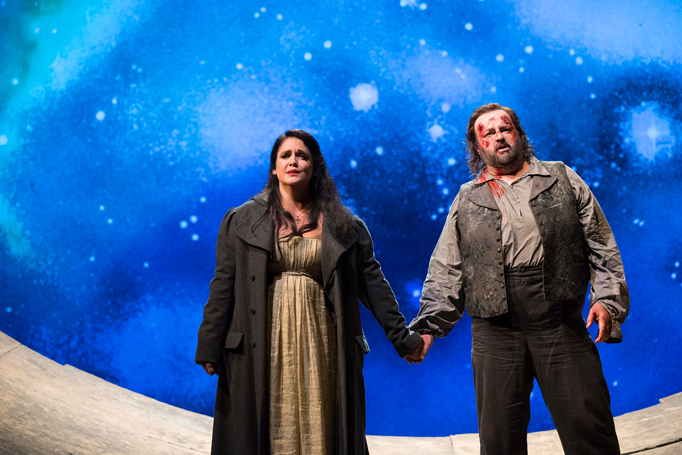 She has a strong stage presence and warm soprano, although her diction isn’t always as clear as that of her male colleagues, including Gwyn Hughes Jones as Cavaradossi. 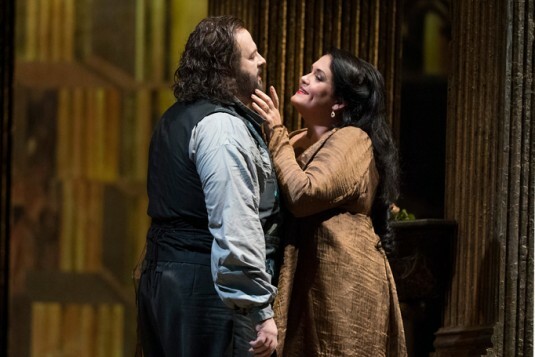 If there’s no palpable attraction between Alkema and Jones as the doomed couple, there are many fine musical moments, not least Tosca’s Life Has Taught Me Singing and Loving, sung in a spotlight as Scarpia lurks behind her, and Cavaradossi’s All the Stars Shone in Heaven, staged against the dramatic battlements of Castel Sant’Angelo (the dramatic curved set is by Frank Philipp Schlossmann). 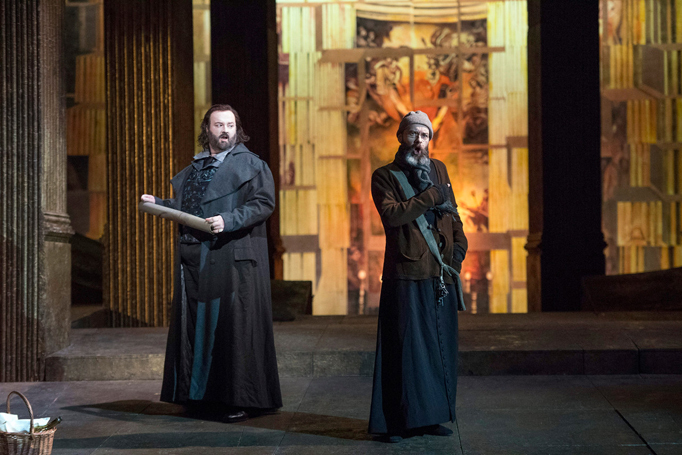 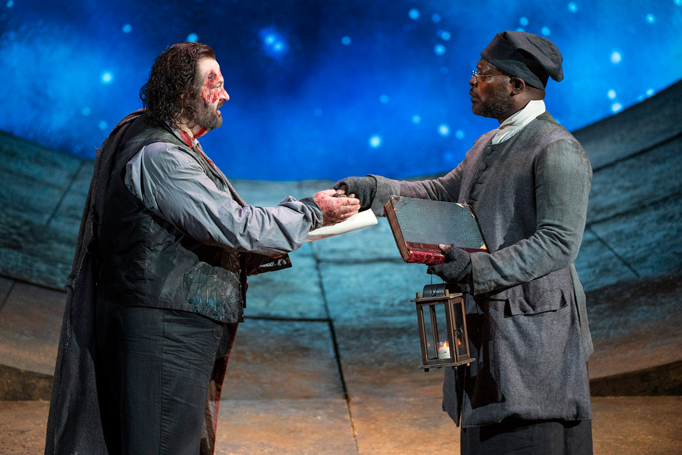 There is fine work in smaller roles from Adrian Powter in the comically pious Sacristan, Andri Bjorn Robertsson as the suffering Angelotti and Robert Winslade Anderson as a fair-minded gaoler. 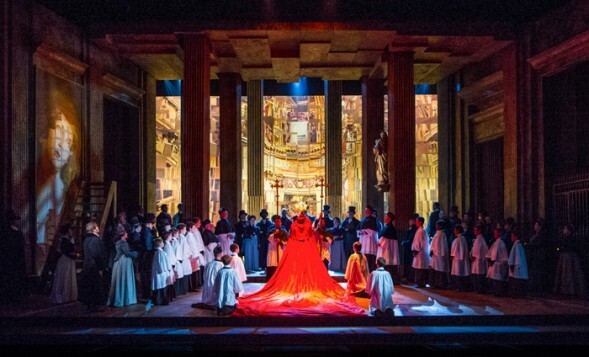 Under the direction of Oleg Caetani, the ENO orchestra brings a burnished tone to Puccini’s rich score.